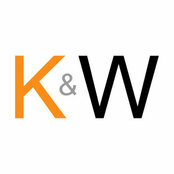 Here at Kitchens and Worktops London, we are more than just solid surface worktop fabricators, suppliers and fitters; More than just kitchen designers, suppliers and fitters for Greater London. We are a team of people who care about making sure you have access to appreciable kitchens with true value-for-money eminence. 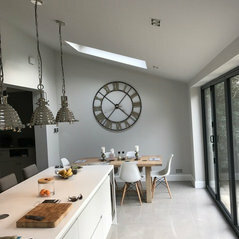 We have operated from our South London base for many years, providing a service that takes you from the original design to the final installation of kitchens, worktops and bathrooms (vanity units and vanity tops). Several of our worktops have been featured in national design and home magazines, including the Ideal Homes Magazine, and our solid surface worktops are regularly used in leading restaurants & offices. 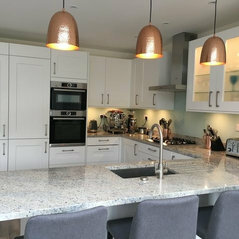 Our aim is to be the best kitchen company, for both quality and value for money; and we stand proud to say that over the years we have developed our kitchen worktop brand and have installed these in some of the London's most prestigious homes and commercial premises. We pride ourselves on being one of Tristone's and Staron's solid surface 'premier fabricators', 'authorised' Corian and 'elite' Hanex solid surface fabricators. We have our own in-house workshop facilities enabling us to design and fabricate just about any solid surface worktop. Thanks to our partner suppliers, all of whom are leading national and international manufacturers, we can combine many various materials and colours in order to bring you the worktops and kitchens you've always wanted, or needed, in your life. Whatever your request, price range or taste, please feel free to get in touch or visit one of our showrooms in Sutton (SM3 9QR) and Camberwell (SE5 9HR) - It could just be the very first step on the path to your dream worktop and kitchen.